This project had already been the subject of much debate and controversy for some eight to ten years before we became involved in 1998. 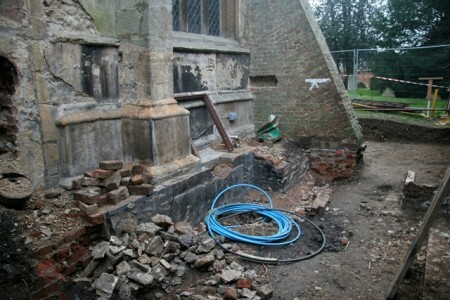 The site for the church’s proposed extension is particularly awkward both physically and historically, physically because it is long and thin and was encumbered with enormous 18th century brick buttresses, and historically because the building is Grade I Listed and also adjacent to a Scheduled Historic Monument (Buckden Towers). David Joy Architects were selected from a group of four practices invited to present ideas for breaking the impasse which had been reached in the project’s development. 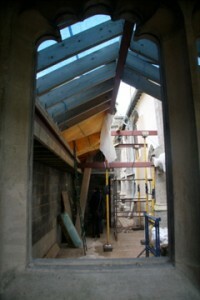 The brief was to provide a hall, meeting room, kitchen, accessible WC, level wheelchair access and storage. 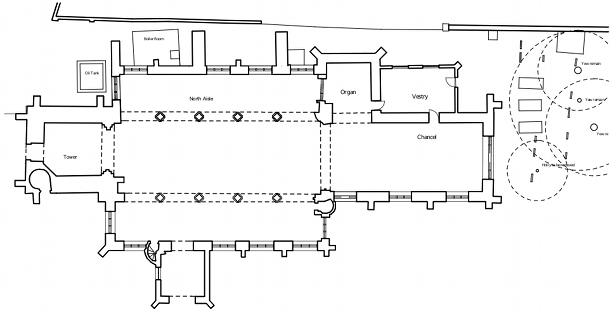 The “left over” strip of land between the North wall of the church and what had been the moat of the Towers was overgrown and virtually unusable due to the presence of three very large brick buttresses. This nevertheless was the only area where development was deemed acceptable by the various authorities who had been consulted. Carefully worked out structural solutions and their methodical implementation allowed the brick buttresses to be removed thus freeing up the space. 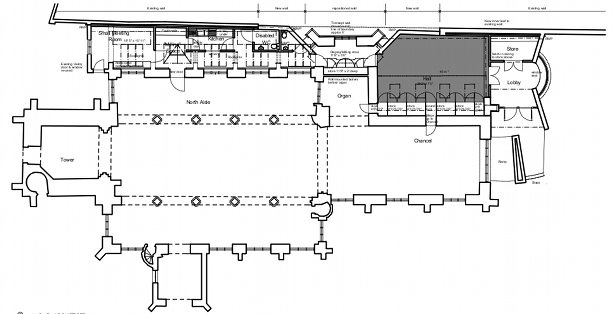 The constriction of the space suggested a linear corridor along the North wall with smaller spaces off it (WCs and kitchen) and the larger spaces at either end, each with its own level access. 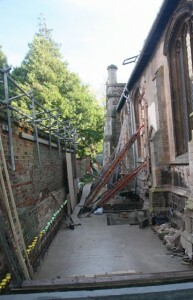 Level access from the church is achieved by reopening the old north doorway which had been blocked. During the course of our involvement with the project, it became a national cause célèbre due to the numerous contrary views which were voiced by the seven consultee bodies. Such was the controversy surrounding the proposals that the then Archdeacon of Ely told David Joy that, despite his own support for the project, we would “never get anything built on that site”. 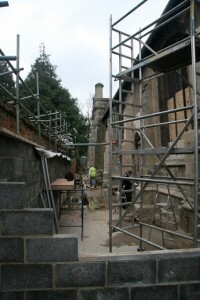 We are delighted to say that building work is now ongoing and that the tenacity and determination of St Mary’s and of their architect have been rewarded.